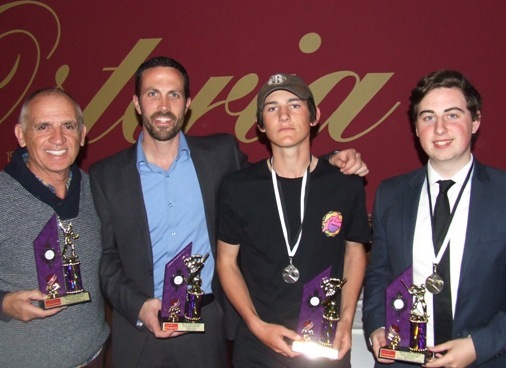 Moonee Valley held its winter competition presentation night in style, with a classy sit-down meal at the L'Osteria restaurant in North Fitzroy. 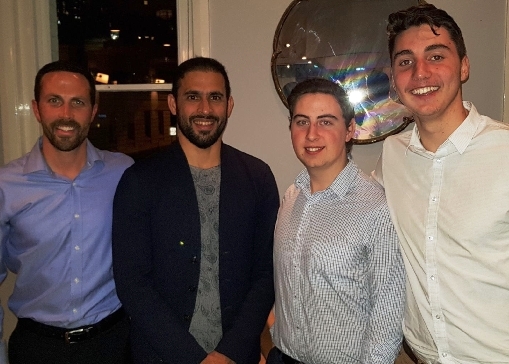 The September 10 gathering was hosted by Moonee Valley winter player Kern Kapoor, whose family owns L'Osteria and has been an excellent host to our presentations for four seasons now. At right: Proud winter comp trophy winners: L-R Neil King, Michael Ozbun, Jordon McDonald and Matthew Esmore. Kern's not only a good host - he's a good cricketer as well. He has played 39 winter games for the Valley - second only to Michael Ozbun on 43 - and has more runs and more wickets than anyone else at our club. Our next mission is to get him into the summer whites at Moonee Valley - but at this stage Kern's still working up the ranks in Premier cricket. 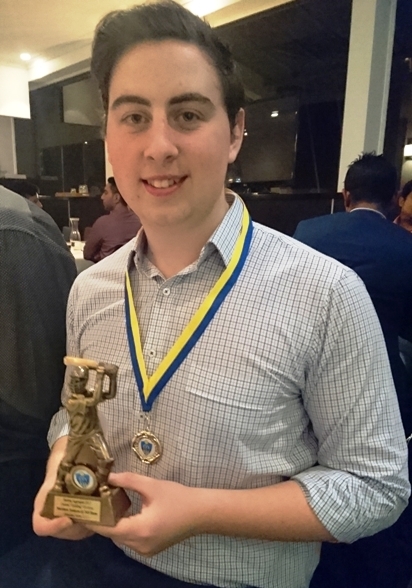 Around two dozen Valley players and family attended the presentation for our two teams - Michael Ozbun's Moonee Valley Black and Shane McDonald's Moonee Valley White. Matthew Esmore won the Black batting award with 345 runs pre-finals at a staggering 86.25 average, while Dwayne Barker won the White batting with 190 runs @ 23.75. The ageless Neil King won the White bowling with eight wickets @ 11.38, and Chris Pollock took out the Black bowling with eight wickets @ 17.75. The Black fielding award was jointly won by Anthony Cafari and Michael Ozbun, and Jordon McDonald won the White fielding trophy. The Black MVP going to Matthew Esmore was no surprise, given he won the award for the whole grade, and Jordon McDonald was the stand-out player for the White team. We also welcomed three players who played winter comp with the Valleys in 2017 and are joining Moonee Valley this season for summer cricket - Andreas Skiotis, Nigel Cowan and Akshat Sehgal. 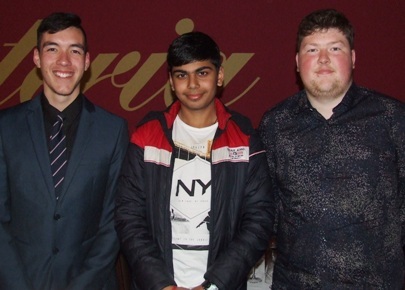 At left: Our new summer recruits from our winter teams: L-R Nigel Cowan, Akshat Sehgal and Andreas Skiotis. Above left: They've all proudly pulled on the whites for Moonee Valley - Test aspirant Fawad Ahmed (second from left) with L-R Michael Ozbun, Matthew Esmore and Stephen Esmore. Moonee Valley Cricket Club has been back at Ormond Park from Tuesday, September 12, as we plan for a big 2017/18 season. The seniors have already done a solid indoor pre-season block, while the juniors are also on the park from the week of September 10. We've confirmed key appointments in Lou Raffaele as coach, Raj Aiyappan as First Eleven captain and the reappointment of Michael Ozbun as Second Eleven skipper. Two Grand Final captains from last season - Ed Rayner in the Thirds and Shane McDonald in the Fourths have been reappointed in recognition of the way they led their teams into the finals. And we're set to confirm and announce captains of our other grades in the next couple of weeks. 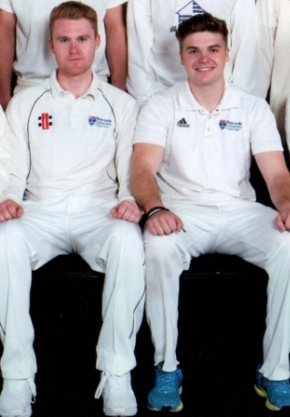 At right: Our UK recruits - Sean Duckworth (left) and James Wolfenden played with the Newcastle University team. James and Sean have been in regular contact with Moonee Valley VP Simon Thornton, and are much reassured by his description of his conversion from a Yorkshireman to a Fair Dinkum Aussie over the past eight years. Last updated: September 21, 2017.